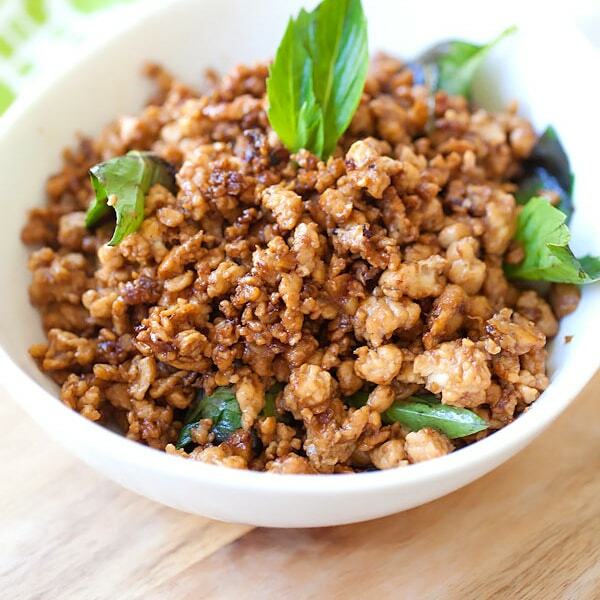 Thai Basil Chicken - made with ground chicken, basil leaves, and chilies. This authentic basil chicken recipe is great with rice and super easy! When I was working in Beverly Hills, there is this Thai restaurant that my colleagues and I would always go to. One of my favorite dishes was its spicy basil chicken rice plate—perfectly steamed and fluffy jasmine rice coupled with ground chicken meat infused with aromatic Thai basil leaves. Also known as Gai Pad Krapow, this Thai basil chicken was delicious, with a fine balance of fiery hot and savory. I just loved that dish. Now that I left the company, I often miss that spicy basil chicken rice plate for my lunch. Living in Orange County, with no decent Thai restaurants within a 30 miles radius. I decided to seek out a spicy basil chicken recipe for myself and learn how to make it. And so I did, and I learned well. There are many gai pad krapow recipes scattered on the internet but I attempted and adapted the basil chicken recipe at Temple of Thai. The beautiful picture pretty much sealed the deal. This Thai basil chicken did not disappoint; it works and delivers the authentic flavors that I had been longing for. 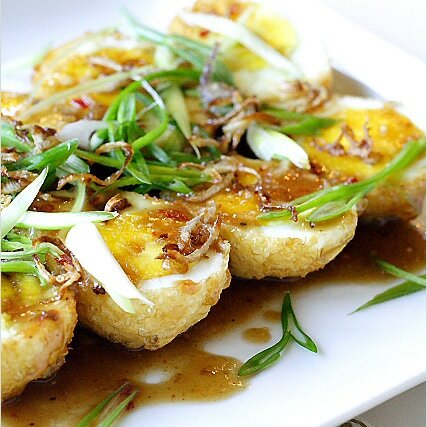 I love making this recipe at home because Mr. Rasa Malaysia really enjoys the dish. My son also loves this basil chicken recipe because it’s made with ground chicken, making it very easy for him to chew and eat. For the basil leaves, if you can find royal basil leaves in your farmers market, use them. Otherwise, use Asian basil leaves with purple stems. All in all though, this Thai basil leaf chicken recipe is very easy to make and will definitely be my keeper! 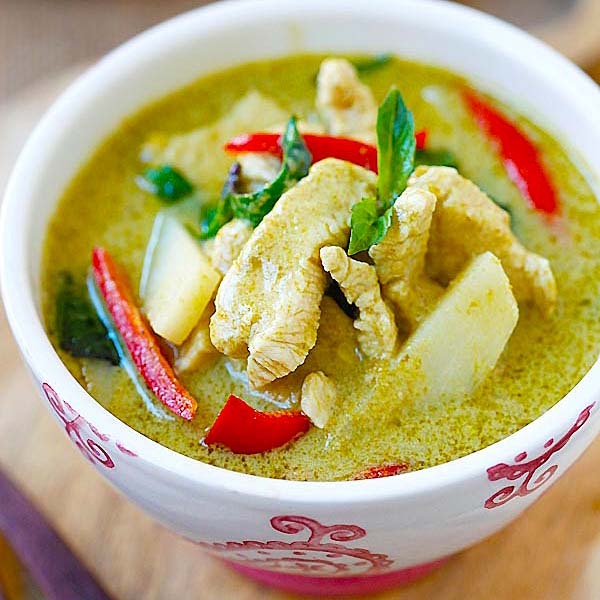 Thai Basil Chicken – made with ground chicken, basil leaves, and chilies. Basil chicken is great with rice and this recipe is super easy and authentic. Add the oil into a heated wok, follow by the chopped garlic and shallots. Stir fry the garlic and shallots until aromatic, then add the ground chicken into the wok. Use the spatula to quickly stir-fry and break the ground chicken meat into small lumps. 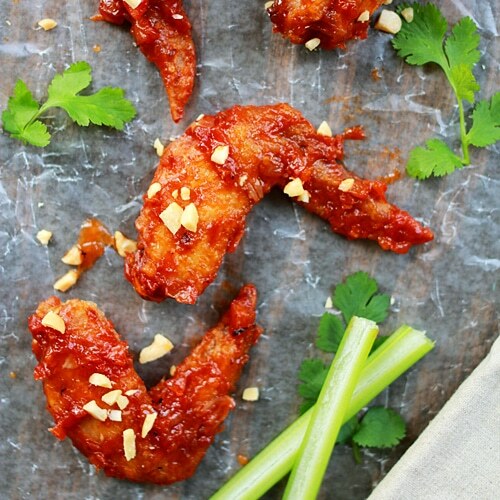 When the chicken meat changes color, toss in the chilies, fish sauce, palm sugar, and sweet soy sauce. Stir to combine well. Add in the basil leaves and do a few quick stirs until the basil leaves wilted and you smell the exotic fragrance of the basil leaves. Add the white pepper into the dish, do a final stir, dish out and serve immediately. If you love Thai food, you should check out my authentic and popular Thai recipes on Rasa Malaysia. You can also serve Thai basil chicken as lettuce wraps, it tastes great with the fresh lettuce and Thai sweet chili sauce. All photos and recipes on Rasa Malaysia are copyright protected. Please do not use the photos and recipes without prior written permission. If you wish to republish this recipe, please rewrite the recipe in your own words instead of copy and paste and link back to //rasamalaysia.com/thai-basil-chicken-recipe-gai-pad-krapow/. Thank you very much! Oooh yes,I’ve noticed that the smaller the chicken the more I enjoy it. I will certainly put this recipe to use as soon as possible. I can “smell” the fragrance of this dish from here by using my imagination!!! Yummy yummy!!! great recipe…chicken and basil is such a great flavor combination! I absolutely love this dish too. And those Thai restaurants I have been too either have it too greasy (excessive use of chili oil) or too salty. 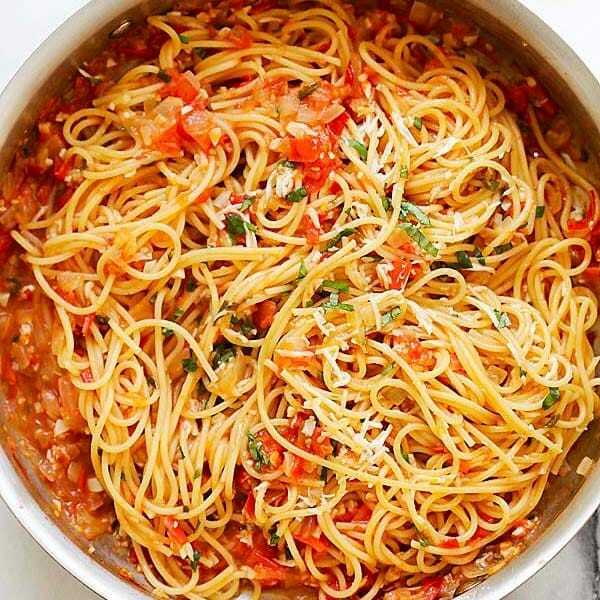 That looks so authentic and yummy…I’ll buy the basil try it this weekend. Ever since my friend Pieter gave me kecap manis, I’ve used it in many dishes. Which Thai restaurant in/near Beverly Hills did you go to? Looks so good. Makes me think to do a larb play on the recipe and add roasted rice powder. Oh…. now i know what to do with the overgrown basil tree i have… THANKS!!! basil can be replaced by spnich and would taste great as well. can you use jaggery to substitute for the palm sugar? or some other substitute? This is one of my absolute favorites when I lived in Thailand: though usually with pork (moo) as opposed to chicken. 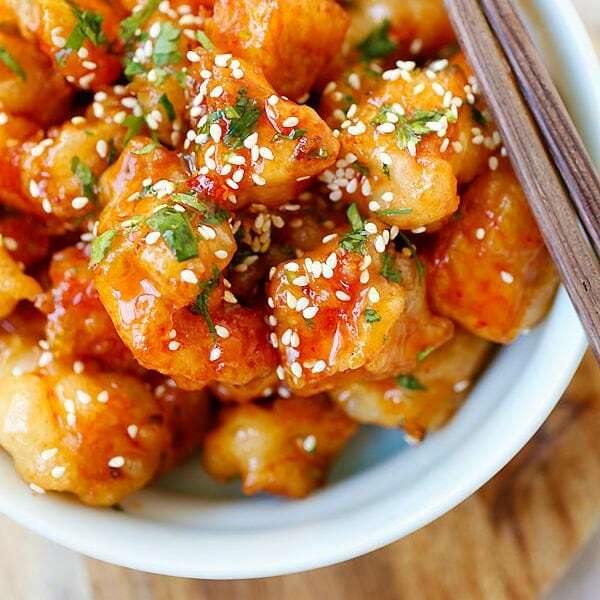 Incredibly delicious over rice, or with the Thai rice crackers! I love this stir fry! Extra spicy for me please. :) Just a couple of tablespoons of this and a bowl of steamed rice and I call it a meal. But make sure I have a big tall glass of water near by. LOL If you can get holy basil it would even be super delicious. It’s what they used in Thailand. Holy basil is one of my favorite herbs. The aroma is a lil lemony and peppery and compliments well with spicy stir-fried dishes like this one. I have a picture of my holy basil plant that I used when I made a classic Cambodian dish called Fiery Stir-Fried Lemongrass Quail. Khatiya – thanks for sharing the link. Not sure where can I find holy basil here. Oh yum! On a chilly, wet day such as this, I would love to cozy up to this spicy dish! looks delicious, I’m cooking it this weekend – can you tell me how many that recipe will serve? Just add more sauces, double the portion. I like my stir-fry just coated with the sauce and not watery. Yum, imagining how basil-y and wonderful it’d be with a bowl of rice! 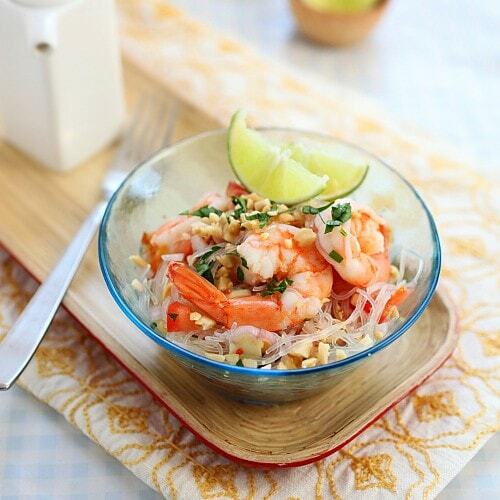 this is one of my favourite thai dishes! doesnt look spicy but it sure is hot! That looks like a really nice dish Bee! I understand why you’ve been craving it. That’s the perfect lunch for any day of the week. I’ll be making soon! Thanks for sharing! 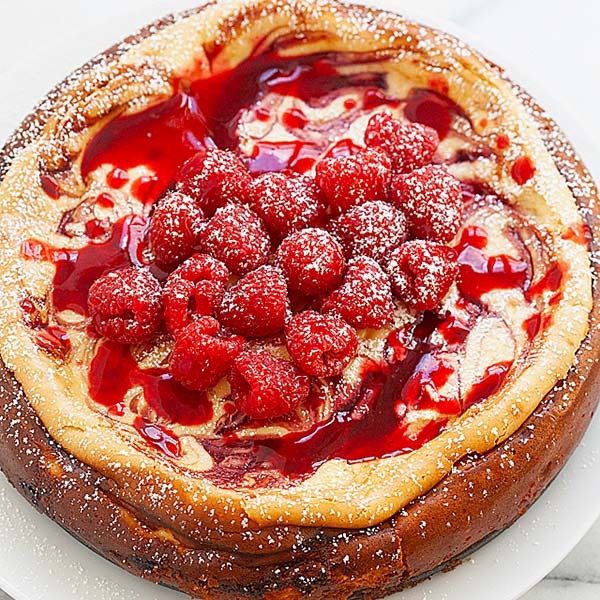 hello it is my first time visiting here, it’s a great site with a great recipes, thanks for share. This look really great. I also like it extra spicy. You can find holy basil in Little Sigone markets. i cooked this the same day you posted it – it was awesome! This one is next on my list. I made Kung Pao chicken today for lunch and loved it as did my guests! Thanks for sharing your recipes. Whatever I have tried from your website has always turned out delightful. I’ve tested it today and it was pretty fine(I’m in love with sweet basil), thank you for your recipe.I’ve put an adpation of it on my website in french. Holy basil should be used or it will be called Phat haropa instead. Looks amazing and is making me hungry. Thanks for the recipe, I will give it a try. I make this at least once a week, substituting brown sugar for the palm sugar and using very thinly sliced steak instead of ground chicken. The smell of fish sauce is, I find, overwhelmingly strong, so I usually add in the juice of half a lime during the ‘add liquid’ stage, and serve it over rice with a lime slice as garnish/further flavor to brighten things up. I cannot wait to give this a try! Could you also make it with Pork? If so, which cut do you think? It’s funny, I’ve ordered this at various restaurants in the UK and sometimes it comes like the above but other times it comes as sliced meat with more of a ‘sauce’. It definitely has the same English language name on the menus. Oh, also, will your book be available in the UK? Thanks again! I love this dish! Will you recommend cutting chicken breast/thigh into small piece at home, rather than buying ground meat at supermarkets? It is a good take although I don’t grind up the chicken meat, use Thai Basil and Brown Sugar. Also there are a lot of good Thai restaurants in the OC, you must not be from round here are yah??? I’ve made this recipe a few times now, and I absolutely love it. I do make a bit extra of the sauce but all the proportions are spot on. I actually like this one better than the local thai place! Thanks a lot for the recipe! Oh my! I am currently eating this wonderful dish but I needed to take a break and simply say “Oh wow” and “oh my”! Such a wonderful dish and an easy one to make. Goes very well with jasmine rice. Thank you for this great recipe! Cooked it tonight and it is simply brilliant. Thank you again. I made this last night with tofu instead of chicken and thought it was excellent. I substituted black soy sauce for the kecap manis (because I didn’t have any) and increased the fish sauce to 1 3/4 tablespoons. I also thought 3 thai chilies was plenty–it came out very hot. I served it with a Thai version of my fried rice recipe, using a combination of fish sauce and soy sauce, adding tomatoes and leaving out the Chinese rice wine. All around a really nice meal. Thanks for the inspiration. Just made a version of this with what I had in the fridge. Yummy. Beautiful photograpy. This is such a wonderful recipe – so simple to make with only a few basic ingredients but incredibly delicious to eat. Thank you. blend 1, 2 and 3 until all incorporated. heat up oil in big frying pan or wok on medium fire, saute the blended ingredients until fragrant then mix in the minced chicken and stir well. add some water if too dry. when it’s cooked, add in all the sauces, pepper and sugar and Thai sweet basil. stir for 30 seconds and serve. trust me it’s spicy and delicious, you can eat it with rice, topped with a sunny side up. the reason i blended the chilies and garlic so that they release more flavor. you must adjust the seasoning so that it suits your taste. alternatively you can also toss in some yardlong bean, cut them 1 inch in length. use red chilies for best result. This recipe is fantastic as is, and it has quickly become one of my favorite dishes to make. Thanks to your recipes I don’t have to miss out on my favorite asian dishes just because I don’t live in a city anymore! Thanks so much, keep up the good work! Hey when you say shallots do you mean the little onions or spring onions?? Looks like yum! Are coconut aim is a suitable substitute in this recipe or is there something better? Thanks! Hi if I don’t have ke cap manis can I use regular low sodium soy sauce. Yes, just use some sugar. Do have the nutritional info on this dish? What’s a substitute for palm sugar? I have all the ingredients except for the palm sugar. This was out of this world delicious! I served it over brown jasmine rice with a fried egg on top! This is a terrific option for those who live far away from an authentic Thai restaurant, or who just want the hands on experience of making it themselves. Great recipe! Can’t find Thai basil here so I grew some & I love it. I think the Thai basil is key here!!! Though… as I was eating it I remembered that the one at the restaurant was a tad juicier… and remembered another recipe I cooked a few weeks ago that had some chicken broth as ingredient. Yes just add some water to make it juicier. Can I omit the sugar? I’m currently doing a whole30 and no sweetener is allowed of any kind. Would it mess with the flavor much besides it not being sweet? Yes you can…Thai food is always sweet so will not be sweet. I used both Thai chili’s and jalapenos and it was delicious! I was able to find all of the ingredients at the local Asian grocery store in Aurora, CO.
Made it this week – this was better than takeout, even the kids had seconds! New family favorite. Hi Anna, thanks for trying my Thai Basil Chicken. Thank you too much for the great recipe! Cooked it tonight and it is simply too much good. I also my favorite Japanese food. I think Koi restaurant Bangkok is the best Japanese food restaurant in Bangkok. To make this right one needs to use Holy Basil, in English; Indian Tulsi, or Thai spicy basil. as the word krapow means. Fresh is best, dried is not nearly as good. This is the first recipe of yours I have been disappointed in. I must admit my expectations were probably a bit high after making many of your other recipes. This particular dish and Naem were my two of my favorite whilst living there and Laos. I was in Udorn Thani and elsewhere and marrieds to a girl from Laos for 12 years back here in the states. Most of the recipes you have are very close to tasting what I remember from the Esan Thai area and many are dead on.. This one is good but wrong. Donald, I do not have holy basil where I am. All Thai restaurants here use Thai basil instead of holy basil and so they are all wrong??? I am not Thai by the way. I know my recipes are good, they all taste good, that’s the most important thing.